Zoho unveiled MarketingHub, the all-in-one marketing automation software that combines the power of a well-built, cohesive platform and the functionality of distinct marketing tools. It allows to generate more leads, convert them to customers, and retain them longer. With MarketingHub, you can create unique lead-to-customer journeys and targeted marketing campaigns. You’ll now know the reason behind everything—from why people visited your website and what stage your leads are currently in, to how a recent successful campaign fetched more returns. 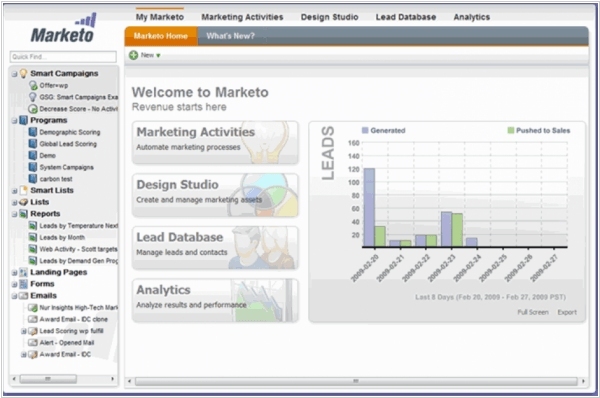 Adobe it to acquire marketing automation company Marketo for $4.75 billion. The deal gives Adobe a strong position in enterprise marketing as it competes with Salesforce, Microsoft, Oracle and SAP. It also gives Adobe a huge boost for its Marketing Cloud offering and provides it with not only a missing piece, but Marketo’s base of 5000 customers and the opportunity to increase revenue in this part of their catalogue, while allowing them to compete harder inside the enterprise. 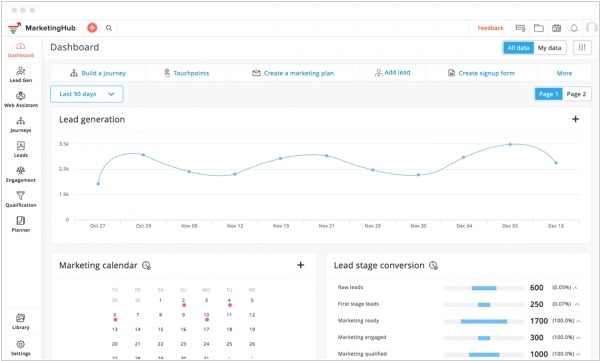 B2B marketing automation software Pardot (owned by Salesforce) rolled out several nice productivity and collaboration improvements: Chrome extension, that can track emails, faster data synchronization, data visualization and new customization features for reporting. The Chrome extension for Gmail - is a marketing automation plug-in that lets sales reps send trackable emails directly from Gmail. It is not just about making life easier for sales reps so they can sell more and better; it's also a new B2B tool, almost a stealth one as it is disguised as an innocent email plug-in, for sales. It's a similar story with the other enhancements. The data synch with Salesforce is now the fastest out of any marketing automation tool, checking for changes every two minutes. It's convenient for the reps, and surfacing prospect insights so sales reps can respond before the competition is crucial. HubSpot, the provider of marketing automation software has officially filed an IPO to raise up to $100 million. HubSpot is following in the footsteps of its competitor Marketo, which went public last year. 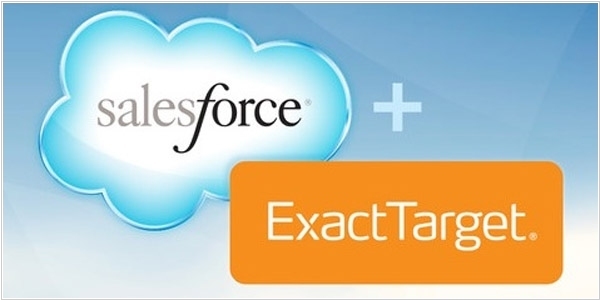 Other rivals, including Eloqua and ExactTarget sold themselves to bigger, broader software companies — Eloqua to Oracle for $871 million in late 2012 and ExactTarget to Salesforce.com for for $2.5 billion in six months later. 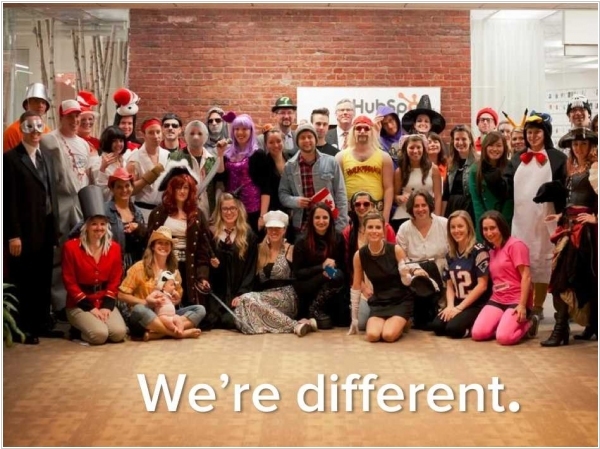 By the way, Salesforce as well as Google are also investors in HubSpot. Everybody knows that CRM - is a hot market. Only lazy vendor doesn't develop CRM system. But the point is that if you compare the total global spendings for sales organization (the main function of CRM) and marketing spendings, the latter will be much higher. And IT-vendors always go where money flows. Therefore, the market of specialized marketing automation systems has emerged. How big is it? Judge for yourself: Salesforce paid $2.5 billion for one of the market leaders - ExactTarget. Moreover, it's not an attempt to kill the game, it's just an attempt to catch up with Oracle and Adobe, that already own more advanced marketing systems. The main functions of ExactTarget are: email-marketing, sms-marketing, landing-page development, organizing offline events and webinars. This is a great complement to Salesforce Marketing Cloud, which fully covers social media marketing.